Need an on-the-go snack to fuel you on busy day? Do you hit the ground running after an early morning workout or rush to return to work after a lunch run or WOD? Working full-time with a young son, trying to blog and maintain consistent workouts, I've realized the value of a healthy, hearty snack I can grab and eat on the go -- especially one that doesn't leave me feeling guilty for eating something out of a wrapper! I experimented a lot this past year with high protein, low-calorie bars and snacks trying to shortcut my way to weight loss, but found that ulimately, they didn't provide the substance or nutrition my body needed to also hit the gym hard. Now, more than ever I'm realizing how important that pre-and-post workout meal is and the impact of the macros I choose, if I choose wisely! 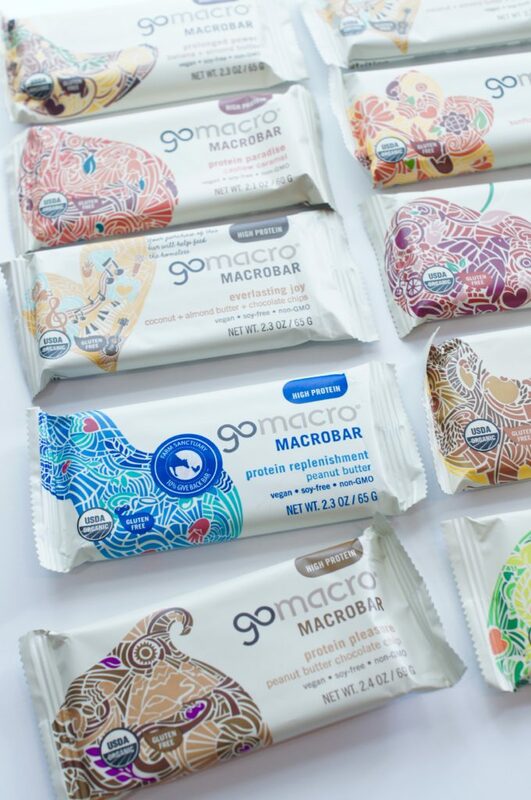 Thus the reason I was pumped to work with GoMacro and have the opportunity to try the MacroBar Sampler Pack, and share with you what I've come to love about this brand and its products. First things first: They taste good! My favorite flavor is the peanut butter chocolate chip, but I also loved the banana + almond butter and the apple + walnut bar. They're chewy and sweet, but not too sweet and have just the right amount of nutty flavor. These bars have been a life-saver, too on particularly busy days when we're rushing around town. We've had so many events this summer: birthday parties and cookouts, plus the usual doctor's appointments and therapies. I can eat one of these bars on our way out the door and then forget to eat until the evening (not good, I know, but they're pretty satisfying and it's great to not feel hungry and stranded, and tempted by fast food). What others have said: My mom wasn't a fan of the cashew flavor she tried (even though she typically loves caramel and she had the Cashew Caramel) and Aaron commented that they were a bit "dense" and "chewy" but both agreed that the bar was satisfying and left them feeling full for a long time after eating it. What does it mean? GoMacro? While there are still a lot of paleo goers out there, a lot of athletes are leaning toward IIFYM these days; IIFM stands for "if it fits your macros," a breakdown and healthy balance of the carbs, protein, and healthy fat for each meal with desired total of each for the day, depending on your workout routine. It sounds complex, but what's most important is that the approach evaluates every ingredient and doesn't discount something if it's a carb or fat, long as it's the healthy kind, which is what you'll find in these bars: made from wholesome nuts, berries, fruits, and nut butters! What to watch out for: Well, the bars aren't cheap but most high quality foods aren't these days. You pay for what you get! They also have sugar in them, but it's not added sugar -- it's mostly from fruit! Also, be advised of the latest recall -- scary, I know! 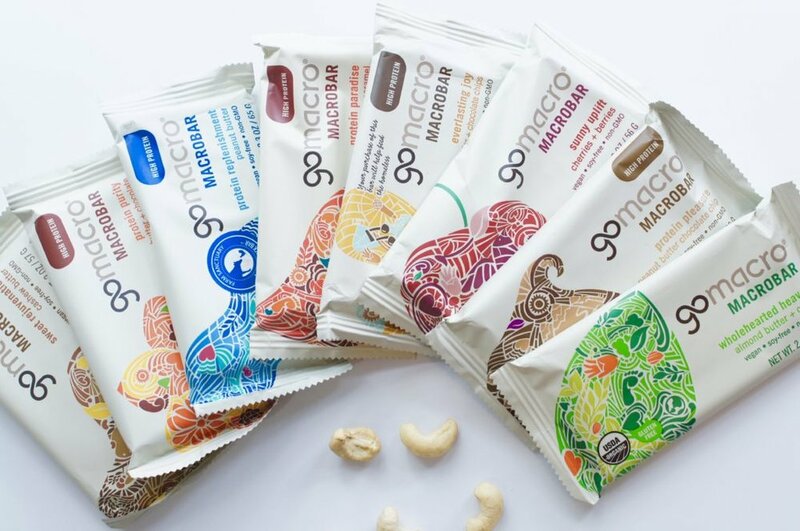 However, it appears it was a very limited quantity of GoMacro products involved; their recall stemmed from one issued by their almond supplier. With fresh, locally sourced products, this is always a concern and I was at least glad to see the company air on the side of caution. 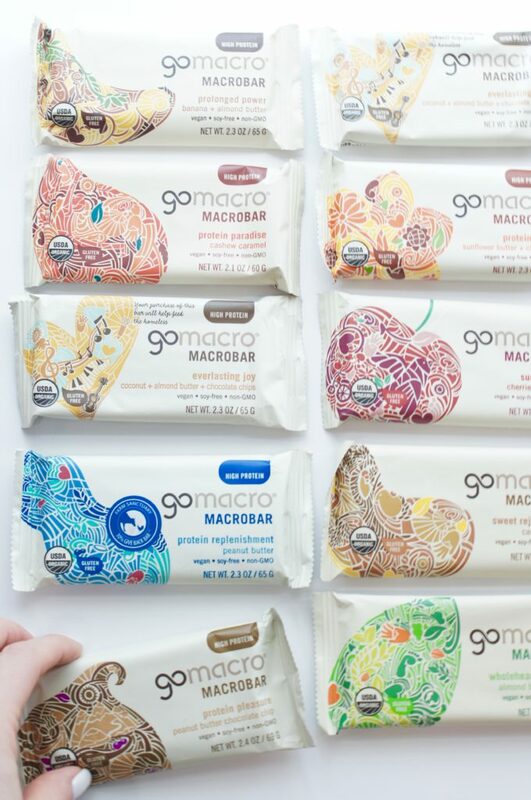 Where can you find GoMacro bars? Here's what I love: they're in 7-11! They're also sold in most WholeFoods and at TraderJoes. Not every flavor is going to be your favorite, so I suggest picking up the sampler pack give all the varieties a try: each tray contains one of the 10 flavors with an additional best-selling peanut butter chocolate chip bar (my personal fav), and sunflower butter + chocolate bar. Other flavors include peanut butter, cashew butter, almond butter + carob, banana + almond butter, granola + coconut, cherries + berries, cashew caramel, and apple + walnuts! If you're looking for high-protein, make sure to snag one with the "HIGH PROTEIN" marker on the top right of the package. The bottom line -- if you're an athlete living a busy life, like so many of us, give GoMacro a try! Oh, an PS: you can't see the actual ingredients in the photo below but you can see the commitment to "feeling good about what we eat" -- something I'm certainly embracing on my journey to getting fit again! I also love that these bars are "vegan, wholesome, sourced sustainably" and "give back." What's your favorite healthy snack/bar for on-the-go?